The following driver recently broke a lap record at the 2019 February Club Day. There is a working bee on Saturday March 23 2019 from 9 am – 12 pm. Please come along and assist your club. The track will be closed this Sunday from 5 pm for a private event. The track will be closed this Friday from 4:30pm for a Come & Try Evening. Please note, the track will be closed between 4 pm – 5 pm this Thursday January 17 2019. 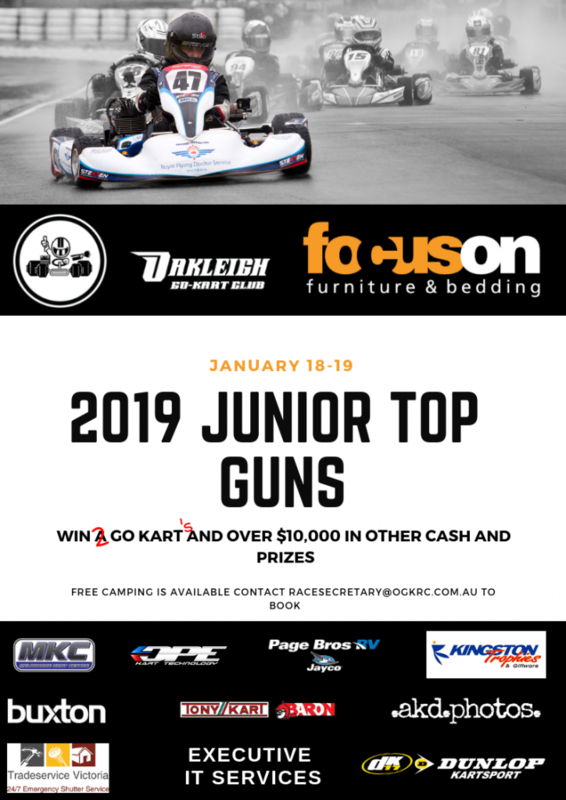 We will be having a few working bee’s in the coming weeks to prepare for Top Guns 20199 and to begin work on a few things that have come out of our track inspection. We will have working bee’s on Thursday evenings on the 3rd and 10th of January 2019 from 5 pm. The track will be closed during this time. Our main focus will be replacing some of the old tyres with the new ones we have and disposing of the blue barrels up the back. Please come down and give us a hand for a few hours one evening and if possible bring along cordless drills/impact drivers and circular saws. The following driver recently broke a lap record at the 2018 October Club Day. The track will be closed all day this Sunday December 9 2018 for Karting Australia to host a training day for the country club track inspectors. Our annual track inspection will also be done on the day.